Academy Award winner Sam Rockwell (Three Billboards Outside Ebbing, Missouri) is made an offer he cant refuse in this darkly-comic heist thriller full of guns, gangsters and mullets! Ex-jailbirds, Eddie (Sam Rockwell) and Paul (Ben Schwartz; TVs Parks and Recreation), are on parole and work in a New York diner. Eddie is calm and confident, whereas, Paul is loud-mouthed and impulsive. They're a team, but their lives are at a dead-end. That is, until English lawyer Katherine Rookwood (Phoebe Fox; Eye in the Sky) walks into their diner with an offer of a lifetime. 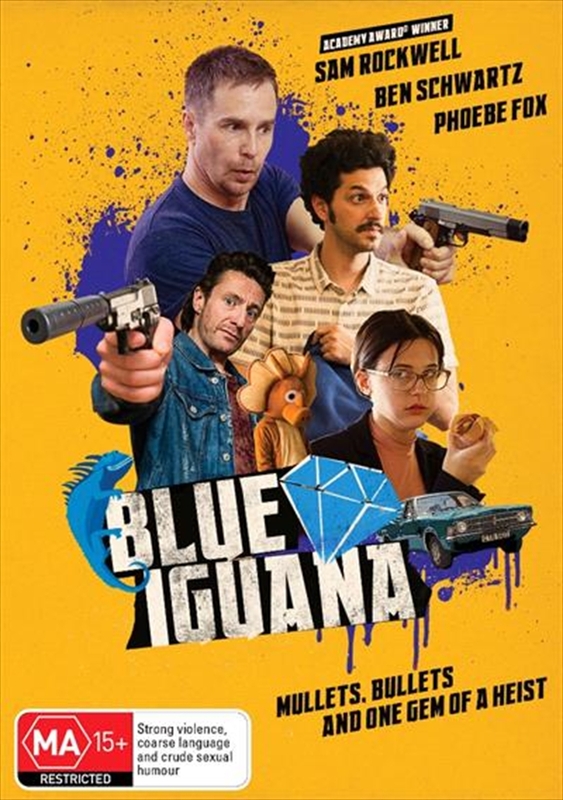 Her plan: to take them to London in pursuit of a valuable gem called the Blue Iguana. Only one man stands in their way of the fabulous piece: the psychotic small-time crime boss Deacon Bradshaw (Peter Ferdinando; High Rise).